Scott C. Clarkson was appointed to the United States Bankruptcy Court for the Central District of California on January 20, 2011. Judge Clarkson sits in the Santa Ana Division of the Central District of California and hears Chapter 7 and 11 cases filed in both Riverside and Santa Ana Divisions. Judge Clarkson is a member of the Board of Directors of the Orange County Federal Bar Association and serves as the Judicial Chair of the American Bankruptcy Institute's Battleground West Conference. Judge Clarkson received his B.A. from Indiana University, Bloomington, and his J.D. from George Mason University School of Law, where he served as Articles Editor of the Law Review. Judge Clarkson is admitted to practice in California, the District of Columbia, and the Commonwealth of Virginia. Judge Clarkson clerked for United States District Judge William L. Hungate (E.D. Mo.) and served as a Legislative Assistant to United States Representative Harold L. Volkmer during the 95th through 97th Congresses. In his latter role, he was a direct observer of, and participant in, the creation of the 1978 Bankruptcy Code. 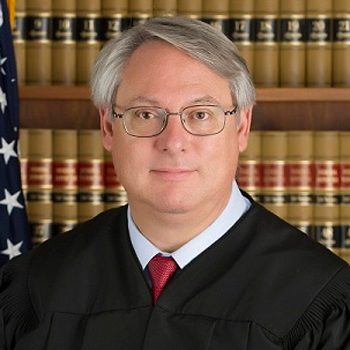 Judge Clarkson engaged in private law practice in California from 1989 through his appointment to the bench, specializing in complex Chapter 11 reorganization cases and bankruptcy litigation. Judge Clarkson is also a noted Documentary Photographer. His 2007 book "Windows to Vietnam - A Journey in Pictures & Verse", now in second edition, was chosen as "editors pick" by the United States Military Academy (West Point) Association of Graduates, 2008. As a photographer, Judge Clarkson has traveled to Afghanistan, Vietnam, Pakistan, Kashmir, and Peru, resulting in a number of photography exhibits. For cameras, he uses a Hasselblad 500c/m (120 film), a Leica M7 (35 mm film), a Leica M9 and Leica M8 (35 mm digitals), a Nikon F100 (35 mm film) and a Nikon 90 (35 mm digital).